Infolinks is considered as one of the best alternatives to Google Adsense. Infolinks is a unique advertising network that is totally different from other advertising networks which do not use any regular ad space available on the website. Instead, the Infolinks ads are displayed in the empty spaces and upon content. Infolinks ads are known to get higher CTR because they are designed in such a way that it prevents ad blindness which is the real enemy to the webmasters. Also, webmasters love Infolinks for the intext ad unit which is available only in countable advertising networks other than Infolinks. Infolinks is an online advertising company that allows advertisers to promote their products & services to the targeted customers. With over 100K sites displaying their ads, Infolinks boasts that they are the third largest advertising platform in the world. As said earlier, Infolinks is totally different from regular advertising networks because it does not use any ad space on the web page to display ads, instead the ads are displayed on unused space and upon content based on publisher settings. Apart from display ads, intext ad units available on Infolinks is very familiar and it is one of the reasons why Infolinks is loved by thousands of publishers which increases publisher revenue compared to the traditional banner ad. Intext ads by Infolinks are the ads that appear when a user hovers the mouse arrow over the underlined word. For every valid ad interaction, the publisher will be paid. 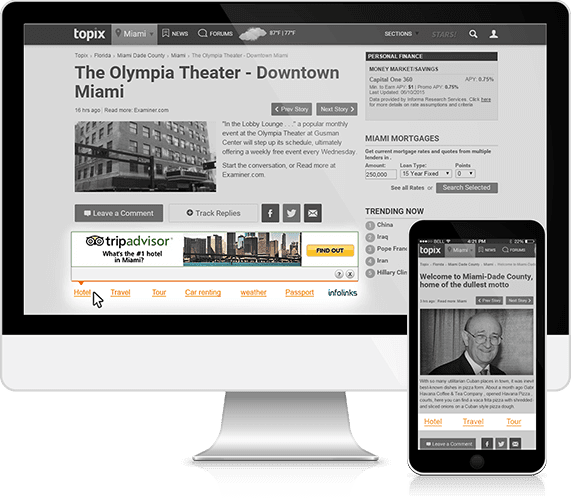 When a visitor lands the blog post page, Infolinks special algorithm will scan, analyze the content to find the best performing keywords in the article and convert them into intext ads. 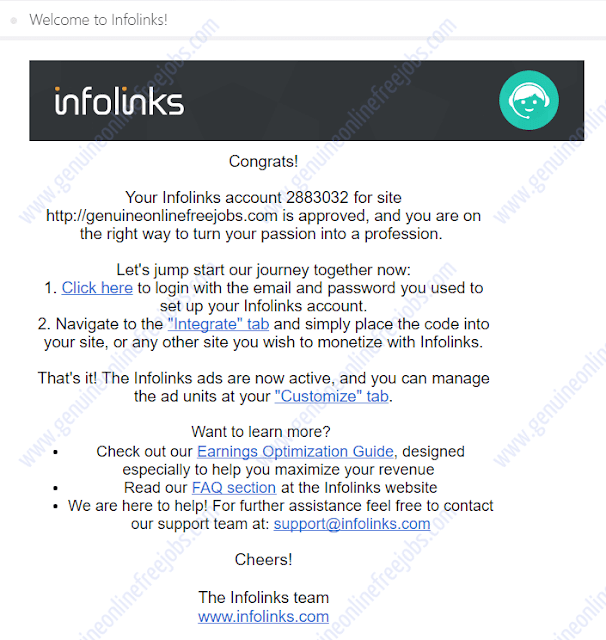 Infolinks algorithm is intelligent that it will not convert links into ads. Publishers can set up to 12 intext ads per page and also they have full control to change the color, appearance of the ad. 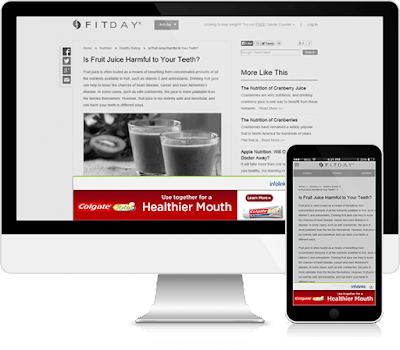 Intext ads perform best on sites other than blogging niche. 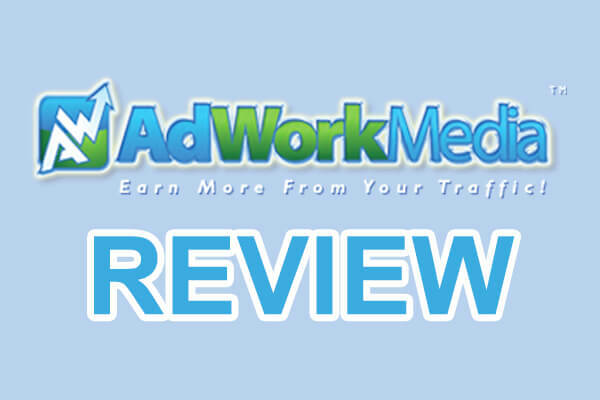 Inarticle ads are one of the best performing ads in Infolinks. 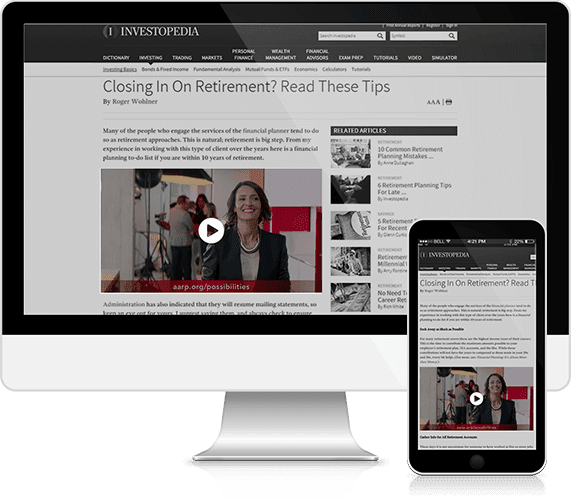 Infolinks algorithm scans the content in real-time and automatically inserts inarticle ad in the best performing position in between the article. You can also manually choose the location where inarticle ads should appear by inserting a small piece of snippet. 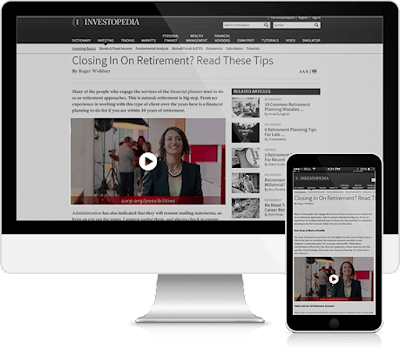 Inarticle ads displayed will vary for each visitor which can be a banner ad or video ad or content ad. Infolinks algorithm automatically analyzes the best-performing ad type and display it in between the article or at the end of the article. Intag ad by Infolinks is almost similar to Google Adsense text link ad unit and works similar to intext ad unit. Intag ad units are automatically placed at the end of the article if enabled and if you wish to place it below the fold or in between the article, you can manually add the snippet on the desired location. You can also set the number of lines the ad appear. The maximum lines are two and it performs better than one line intag ad. Like intext ad, when a user hovers the mouse arrow over the text, the contextual ad will expand as shown in the picture given above. For each valid ad interaction, the publisher account will be credited. 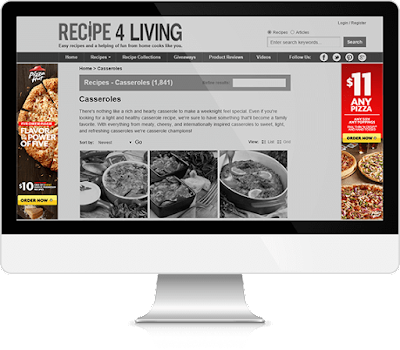 Infold ad units are one of the most used ad units among Infolinks publishers. Infold ad will rise at the bottom screen as the reader scrolls the page. Infolinks infold ad is the most visible ad unit. So, the chances are higher for the user to click it which will improve the CTR. Usually, Infold ads will be relevant to the content of the page only in USA, UK, Canada and other western countries. In the case of Asian countries, general ads with lower CPC are displayed most of the time. So, this ad performs well if your blog receives targeted traffic from tier-1 countries. Infold ads are also displayed on mobile phone devices which play an important role in increasing revenue from mobile traffic. Inframe ads by Infolinks are the most annoying ads and used very less compared to other ad units which will be displayed on the side of a web page as shown in the picture given above. Inframe ad units are designed in such a way that it does not hide the content and at the same time prevents ad blindness resulting in higher CTR. It’s better not to use inframe and intag ads at the same time because it will irritate the visitors. So, visitors might leave your web page which might increase the bounce rate and decrease user time on site. This will create a negative signal to SE. Unless you’re confident in using inframe ads avoid using it to make your website neat and legible which will also increase user experience. Inscreen ad by Infolinks is a most commonly used ad unit among CPM advertising networks. These ads provide 100% visibility to creatives which is the reason why advertisers love them most. Inscreen ads are called as popup ads in other ad networks which will appear in the center of the screen blocking the entire screen. If the ad is relevant to the content there are high chances for the user to interact with the ad. The close button given above the ad unit can be used to close the ad. 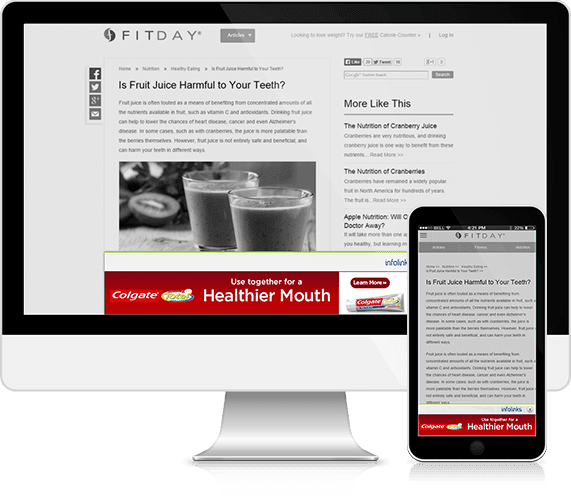 Using popup ads can increase revenue of the blog. But at the same time, popup ads are sometimes annoying especially if the ads are not relevant. So try to limit its use by tuning the ad settings. Due to recent Google search engine algorithm update, using popup in the mobile device might be penalized if it affects the user experience. So approach inscreen ads with caution. 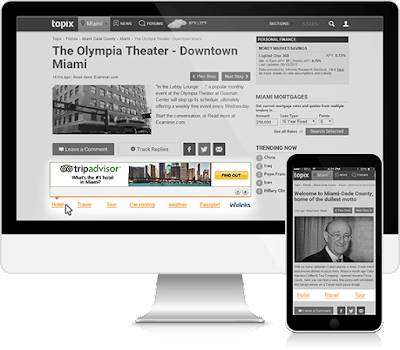 It’s a known fact that ad placement plays an important role in generating good revenue. Unfortunately, many publishers do not place ads in right ad space which results in revenue loss. The advantage of Infolinks is, publishers do have to worry about ad position because Infolinks ads are designed in such a way that it do not need any ad space. Infolinks make use of empty space, text, etc. to generate revenue automatically. Though there is no need for Infolinks optimization, here are few tips to make more money from Infolinks. 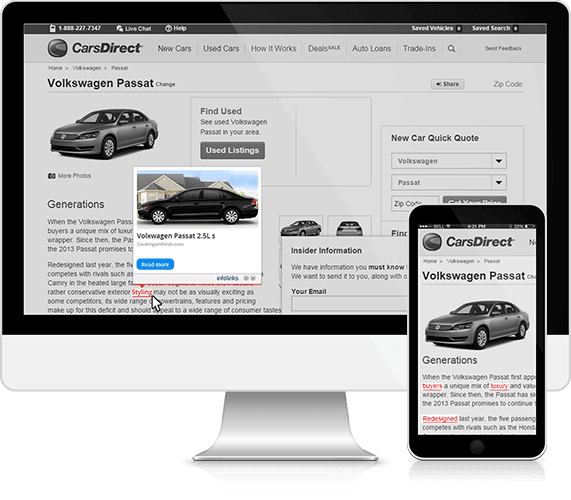 Provide long useful content to your visitors so that you can make use of all twelve intext units without affecting user experience. If your blog posts have less content, reduce the intext ad units accordingly. Putting more intext ad units in less content will make your web page look messy and it will directly affect user experience. 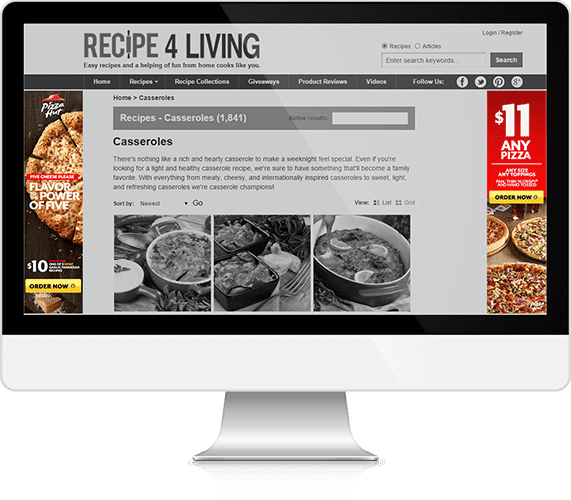 Either use infold ad units or inframe ad units. Do not use them at the same time which will affect user experience and reduce bounce rate. In most cases try to avoid inframe ad units to make your website look neat. 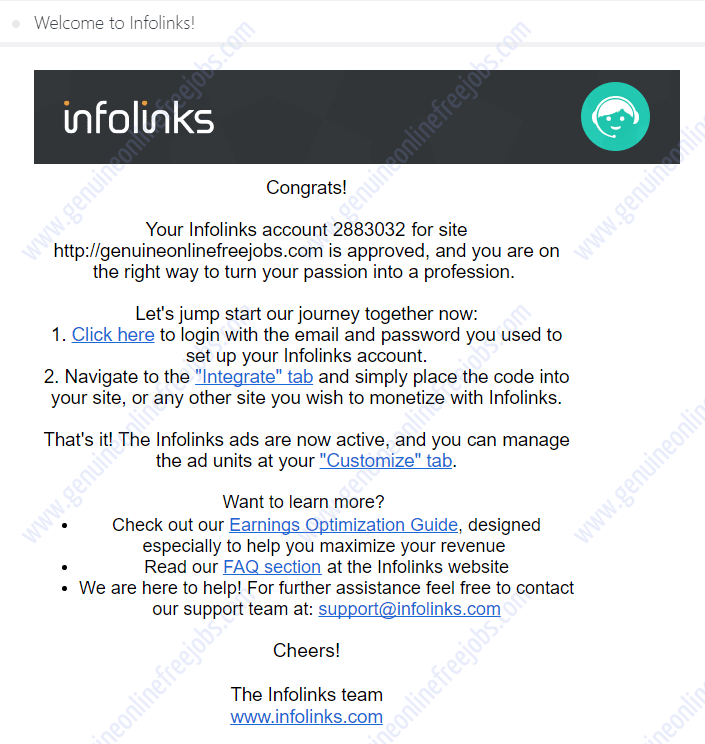 Infolinks works best for US, UK… traffic. So, if the traffic from these countries is low, try to avoid inscreen ads which will display Facebook ad most of the time. Try to add advertisements of other advertising companies like Google Adsense along with Infolinks to improve revenue. Put Adsense ads above the fold and Infolinks ads at the end of the article to improve overall CTR. Try to use Adsense and Infolinks at the same time to boost the revenue. Using Adsense and Infolinks on the same page is not against Adsense policies. Use 728 x 90 Adsense ad unit above the fold with a rectangle Adsense ad unit below the title. 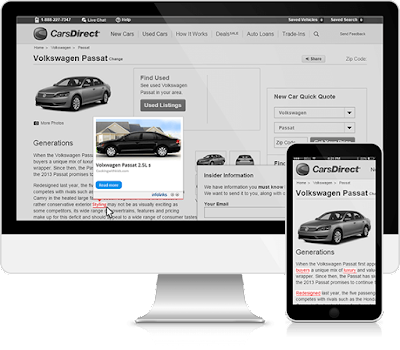 Along with this make use of infold, intext, inarticle Infolinks ad units that can be seen when the user scrolls the page. Each site differs by design and content. Not all these mentioned techniques will work better. Test your site yourself by placing ads on the different position to find the best ad space which receives higher CTR. Prevent using Adsense ads and Infolinks on the same site if you worry about site loading speed and user experience. 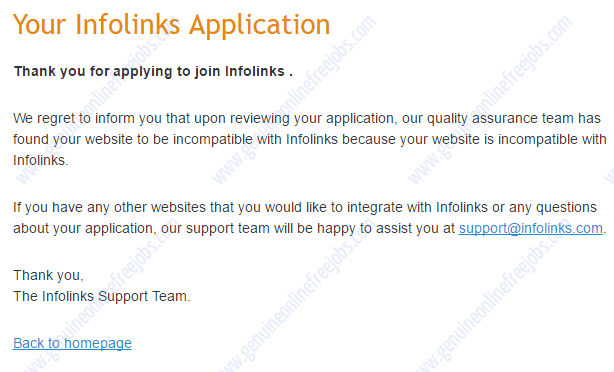 Infolinks mentioned that a webmaster with a website can become an Infolinks publisher. There is no minimum page views or any other requirements mentioned which mean almost all the websites will be accepted. Infolinks approve only sites with original content. The reason behind most of the denial is due to insufficient content. Since Infolinks is a contextual advertising network, more content is necessary for Infolinks algorithm to scan and deliver relevant ads. No fake traffic or paid traffic. Sites that uses bot traffic, paid traffic will not be approved. The websites must not be under construction. The site must have enough content for Infolinks staff to review the website. According to Infolinks content policy, the sites with violent, adult, illegal, spamming, copyright, harmful content will not be approved. Top level domain is not necessary to apply for Infolinks account. Blogspot domains are accepted, but wordpress.com is not allowed because Infolinks cannot display ads on wordpress.com sites. WordPress.org is different from wordpress.com where websites which use wordpress.org is a self-hosted website. Other than these Infolinks will not approve your account if they feel your site is incompatible with Infolinks. Do not apply once you post one or two articles in the new site. Try to post valuable content for at least one month before applying for Infolinks account. Try to generate some organic traffic before applying for the Infolinks account. Adding about, contact page is not mandatory. But, adding them will make your site better. Click here to apply for new Infolinks account. Enter your website address and click signup. You will be redirected to another page where you have to enter your name, email, and desired password. Click submit to apply. Now your data have been submitted and it would take up to 48 hours to receive the reply from Infolinks. In the meantime, you must add the code snippet on your site to speed up the review process. After 2 days you will receive a mail regarding approval. If approved log into your account, copy the code and paste it into your HTML page or add the Infolinks plugin to your WordPress site. Ads will be displayed immediately on your site after the code installation. By default, intext, infold, intag and inarticle ads will be enabled. You should customize them by logging into your account. 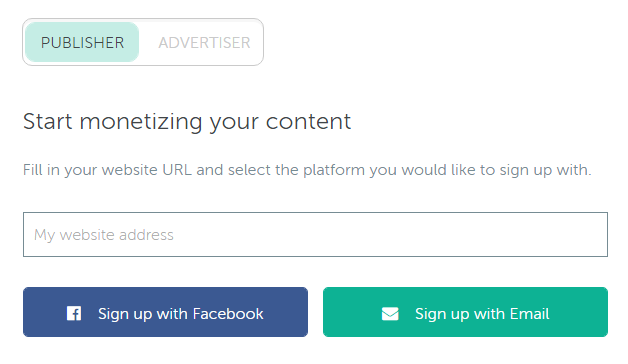 Unlike other ad networks where you must install unique code for each ad on the site, all the Infolinks ads can be controlled from the Infolinks dashboard itself after one-time code snippet installation. You might like this – Selling direct ads through Publicityclerks. Unlike most of the advertising networks, Infolinks offers a variety of withdrawal options to help publishers all around the world to receive payment. You can choose any one of these payment processing methods to receive your commission. PayPal, Payoneer, ACH, eCheck and wire transfer are the payment options available on Infolinks to receive the commission. Other than Wire transfer with minimum payout $100, to receive your earnings through other payment processors your account should have a minimum balance of $50 before the monthly audit. Earnings are paid on net45 basis means your payment will be sent after 45 days from the date of the audit. Infolinks is one of the best alternatives to Google Adsense and it can be used with Adsense without altering its position. Infolinks ads do not need any ad space because they make use of empty space and content to display ads. Infolinks ads get higher CTR compared to ads of other ad networks because Infolinks ads are created in such a way that it prevents ad blindness. 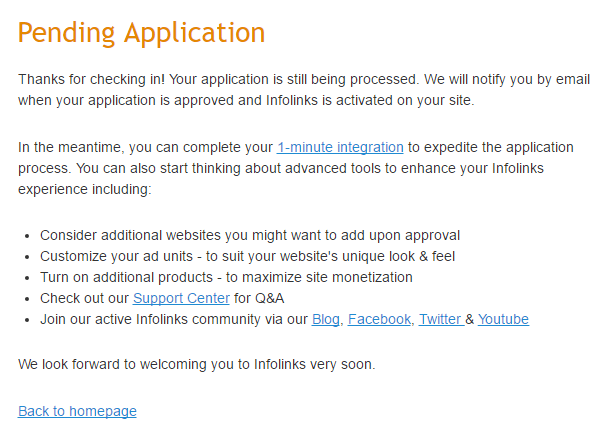 Getting approved by Infolinks is easy compared to Google Adsense and Media.net, the giants of CPC industry. Sub domains can be used to apply for Infolinks account. Infolinks is the one among few networks which pay both views and clicks. Infolinks ads can be easily customized in seconds. So, this is a good news for publishers who have less coding knowledge. Placing regular ad units below the title and in middle of the post requires coding knowledge unless you use any special plugins. Infolinks ads are automatic. If you set automatically display ads, Infolinks algorithm will automatically display ads in the perfect position. Once Infolinks approve your account for the first time, you can use it on the other sites without approval. Infolinks pay 65% of revenue share to the publishers similar to Google Adsense. Infolinks pay on time as per the terms. Infolinks publishing sites will look spammy. So limit the ads appear on the site. Infolinks is the best advertising network for sites with US, UK, Canada….. traffic and worst network for sites with Asia, Africa traffic. Infolinks will display very few ads repeatedly on the sites with low-quality traffic. As the result the ads will generate very low amount per click and also CTR will be very less compared to normal CTR. So, avoid using Infolinks if your website does not receive any traffic from tier – 1 countries. To receive payment the publisher should wait for about 45 days from the date of audit and several months from the date of approval depending upon the traffic volume the website receives. This will trigger small publishers to generate invalid clicks to increase the revenue. Infolinks will decrease site loading speed although the Infolinks ads load only after other page elements loads completely. Infolinks reports are not updated in real time. Infolinks is not the best option for some niches like blogging, web development etc. Using Infolinks on sites with less traffic is a waste of time. If your website is disapproved, then it will be very tough to get approval again. You must create a new site in order to get approval again. So, apply only if you’re confident. Infolinks is one of the best CPC, CPM advertising networks in the world and the alternative to Google Adsense. Infolinks works well on blogs that receive traffic from tier – 1 countries. Infolinks ads are unique that it does not use any regular ad spaces of the site instead it displays ads on the unused space makes it the best advertising network to use with Google Adsense on the same website. Over optimizing Infolink ads will make the site look spammy also it increases bounce rate and lower the time on site value. On the whole Infolinks is a genuine advertising network that can generate decent revenue if it is optimized correctly. Fill your thoughts about Infolinks in the comment section. Click here to sign up – Infolinks.